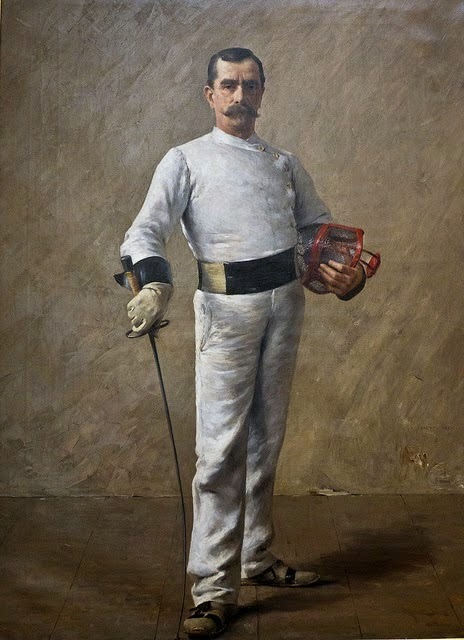 ...For painting number two, I wanted something where I could really work with contrasts, so I searched out an image of a Victorian fencer and found this gem by Tancrede Bastet below. I've done quite a few paintings of mustachioed gents and decided it was time for a shave. Given that, my version looks much younger - almost like an extra from Tintin - but I love the shadows and am quite proud of the hands.